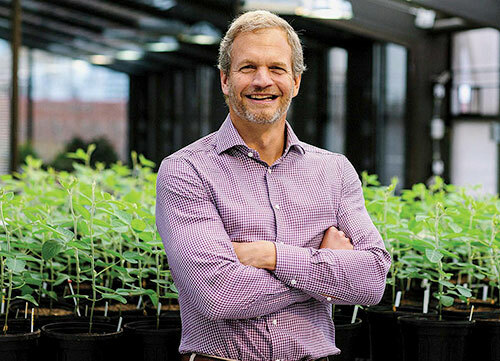 That’s when he found Indigo Ag, a company that is commercializing microorganisms that help plants grow. Indigo Ag’s scientists have identified microbes that confer resistance to drought, and are developing others that reduce the need for chemical fertilizers and pesticides in five important row crops: corn, rice, soybeans, cotton, and wheat. They coat seeds with these beneficial microbes to reduce the need for irrigation, increase resiliency in drought-stressed plants, and enhance their ability to extract nutrients from the soil. Perry sees an opportunity for Indigo Ag to lead or catalyze a change in the way industrialized agriculture is done.